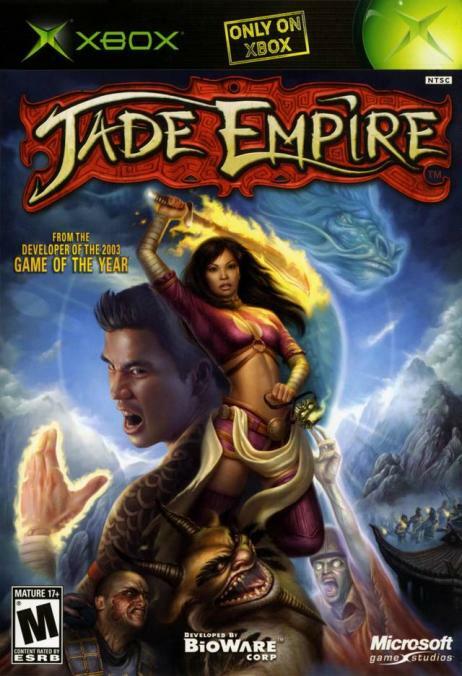 GB: How long has Jade Empire been in development, and where exactly do you stand with the game at this point? Ray: We have been working on this project for just over two years already it's come a long way and we're very happy with the lush world that is the setting for the game as well as the brand-new advanced graphics engine and epic storyline. The team on the game is now close to 50 people and they're a great bunch of people all creative, passionate, hardworking and very smart. It's an honour for us to be able to work with them. GB: What made you decide on a mythical china background for an RPG? Do you feel that this unique setting will bring in a broader audience overall? Ray: Greg Zeschuk, my Joint CEO at BioWare, and I have been dreaming about the idea behind Jade Empire for many years now nearly a decade, actually. We've always found the concept compelling, and we wanted to wait until the right point in BioWare's history to develop this title. We wanted to ensure that we had the experience as a company to build BioWare's first new intellectual property project, and furthermore we wanted to wait until we had the ideal platform to develop on the Xbox is very technologically advanced as a system and it will allow us to achieve our design goals for Jade Empire. GB: How will character generation work in Jade Empire? Will the game use the D20 system for its rules system, similar to Star Wars: KotOR? Jim: At the start of the game, the player can choose his starting style, his ability scores, and his appearance. During the game, he can choose which styles to upgrade, which new styles to learn, and which ability scores to upgrade. Finally, key events in the game can change the player character's appearance to reflect his changing circumstances. We designed a new rule set from the ground up for Jade Empire, using our experience working on games like Star Wars Knights of the Old Republic, Baldur's Gate and Neverwinter Nights. At the character level it's deceptively simple yet elegant and deep: each character has three primary abilities and three secondary abilities. The Focus ability is linked to the primary ability of Mind, and represents a warrior's ability to concentrate on his surroundings to slow them to a crawl. You can use this ability while in any style to slow down your opponents, and while in the mode you continue to move at normal speed. Chi is linked to the primary ability of Spirit, and represents a warrior's store of internal energy. You can use this energy in many different ways, including healing yourself in combat, powering up a Chi strike (which you can do in any style), and using powerful magic styles (some of which use Chi as a resource much like mana). Health is linked to the primary ability of Body, and works just like hit points in most RPGs. You can restore your health by resting, using special amulet gems, and spending points of Chi. GB: Can you tell us a bit about the various combat styles and the advantages and disadvantages players might expect from some of them? How about some examples of moves within one of the styles? Greg: The combat system revolves around styles and tactical style switching. A style is a collection of moves, no more than seven, that are all arranged around a common theme. Each style has its own strengths of weaknesses, and players can find ways to switch between them quickly during combat to produce a winning strategy. Fighting styles are grouped into three categories: martial arts styles, magic styles, and weapon styles. Within each of these categories styles are described as being "fast", or "strong", or "defensive" relative to each other--so the player could learn a strong weapon style (such as Eight-Ring Sword style) or a fast martial arts style (such as Centipede style), or a defensive magic style (such as the damage-absorbing Willow style). You can think of it as a matrix, with each style falling somewhere into the combination of category and type. We have several weapon styles planned. One example is the classic Chinese broadsword (Broadsword style). This is a slim, one-handed finesse weapon designed to give a good balance between offense and defense. Another example is the eight-ring sword (Eight-Ring Sword style), so called because eight heavy iron rings are attached to give the weapon more heft. This is a very heavy, two-handed weapon originally designed to cut down a mounted warrior's horse--in fact it is sometimes called a "horse sword". One last example is an improvised weapon: the bar stool (Bar Stool style). Sometimes a visit to the tavern takes a turn for the violent, and a nearby bar stool is just the ticket for smashing your way to safety. These improvised weapons don't have to be "learned" like other styles, they're available to anyone. Ray: A few other things are very cool about the combat system: for example, if players want to pause to reflect on their strategic choices during a tough battle and choose that '˜perfect' style they can do this at any time. Magic styles are also quite awesome examples include the transformation styles where you can capture the spirits of certain enemies when you defeat them, and then transform into those creatures at the cost of some Chi. Imagine transforming into a giant golem or a horse demon in the middle of a battle! Other magic styles include Fire style, which allows you to shoot fireballs at your opponents, or Dirty Fighting style, which allows you to blind opponents with magical energies. Battles are very tactical as Jim mentioned, as you switch rapidly between different styles, such as martial arts styles, weapons (both learned or improvised) and magical styles and styles interact in interesting ways which is really a form of emergent gameplay. We're excited to see how players combine different styles to get interesting combination results. GB: Will there be a sort of "dark side" and "light side" that players can follow throughout the game, similar to the way Star Wars: KotOR works? Greg: Players can choose which followers they attract to their strongholds and as well they make choices in the storyline which affect how people in the game world perceive them (good or evil) much as in our last Xbox title, Star Wars: Knights of the Old Republic, the choices you make in the storyline are very meaningful. We anticipate that there will be a LOT of replayability in the storyline and in character development and style choices in Jade Empire!